Blog | May 2017 | Top Bank Holiday Craft Tutorials to Try! 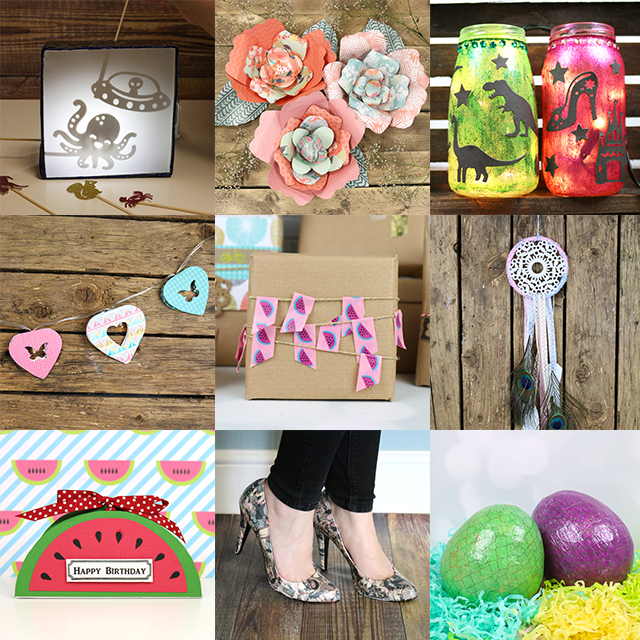 Top Bank Holiday Craft Tutorials to Try! As this is the last bank holiday until August, we should make it count, and what’s better than getting our craft on! Reinvent your look by transforming a pair of shoes with the First Edition Deco Mache papers! This easy tutorial will have your friends begging you to do the same to their unloved pairs of heels! Kids love to use their imagination so we had to bring back this fantastic shadow box tutorial! Let them use your die cut characters to create a story that will blow anyone’s mind! Are you loving the sunny weather as much as us? Why not make your home décor bloom with our large flower tutorial. Our template will help you create a pretty home décor piece in no time! We all love to make our houses twinkle and fairy lights in home décor is still so trendy! Pop over to the article to pick up your free template to give your fairy lights a pretty flourish! Want to make your gift wrap as personal as the present itself? Find out how to make your own with a stamp here and a little washi there, to create a look your loved one will definitely not forget! Keep the nightmares of your projects going wrong at bay with a beautiful dreamcatcher! Our upcycling tutorial will show you how to make your own with an old tape roll, ribbon and a few crafty die cuts! Do the kids want a secret hiding place for their pocket money? Why not help them create these awesome dragon eggs with the Simply Creative decoupage papers! They will have so much fun creating this mystical make! Which tutorial is your favourite? Make sure to upload your makes to the inspiration area and to #trimcraft when uploading to social media!